Click to enlarge. 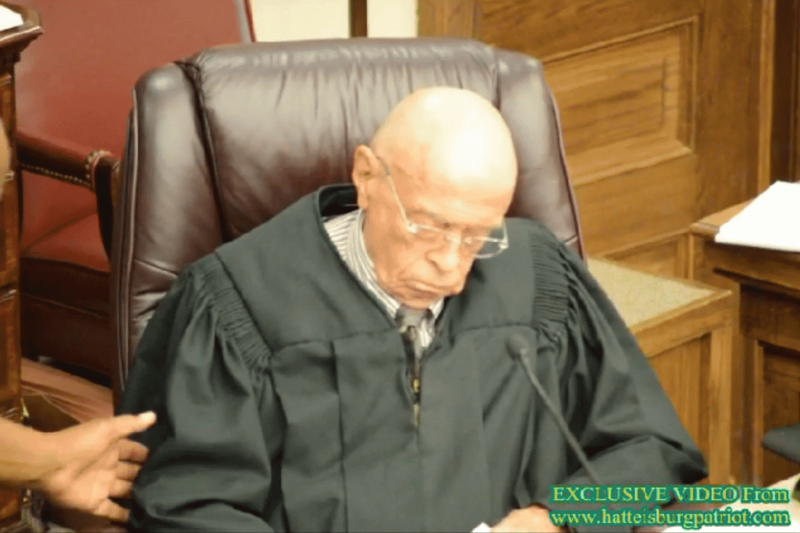 Judge Coleman caught napping during Dave Ware attorney's examination of City Clerk Eddie Meyers. Click to enlarge. 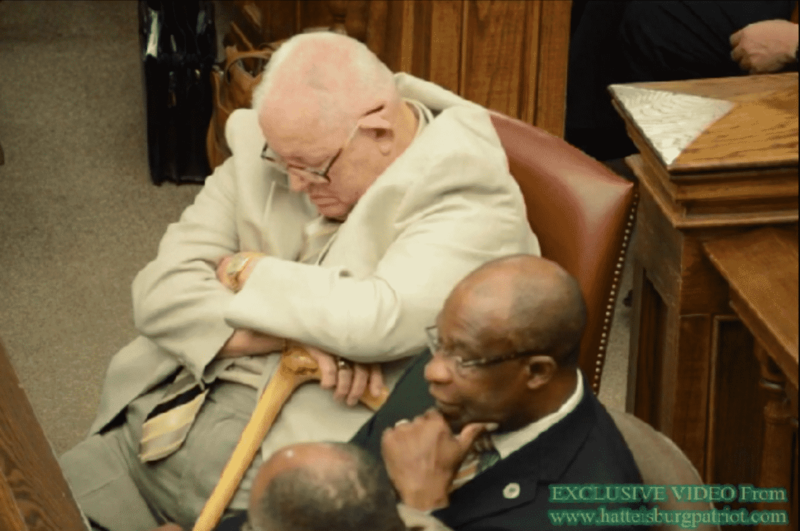 Dupree Attorney Jim Dukes naps during City Clerk Eddie Meyers testimony. determine the proper legal method for waking a sleeping judge. A bailiff rescued the court and woke Judge Coleman. Cheerfully he waved to the crowd, stood, and instructed the jury to stand as well. The courtroom burst into laughter and almost everyone stood and smiled, except for Mr. Dupree. Ware's team could be heard after court discussing opportunities for opening sleep clinics around the state.